Iran Nuclear Deal Reached, but can it Survive Partisan Politics? 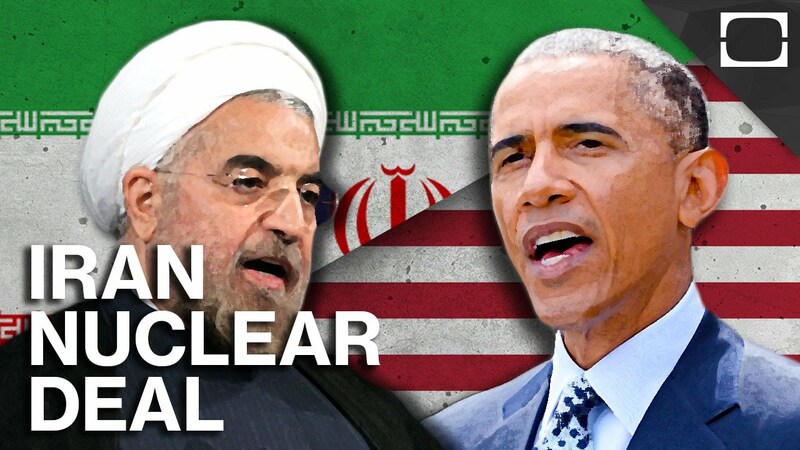 Yesterday, the Obama Administration announced the successful conclusion of its two-year long negotiating process with Iran and presented the resulting deal. This agreement is an extremely positive development that could do a great deal towards reducing the tensions in the region and preventing an unnecessary war. Unfortunately, while Obama’s negotiators and the negotiators for the Iranian Mullahs have agreed on a deal, this agreement must survive the objections of a group of entrenched ideological zealots who want war, deride compromise, and will do everything in their power to scuttle any diplomatic efforts between the USA and Iran—I speak, of course, about the right wing GOP majorities in the House and Senate. No side got everything that it wanted in this agreement (obviously), but both the P5+1 and Iran were able to obtain key victories. 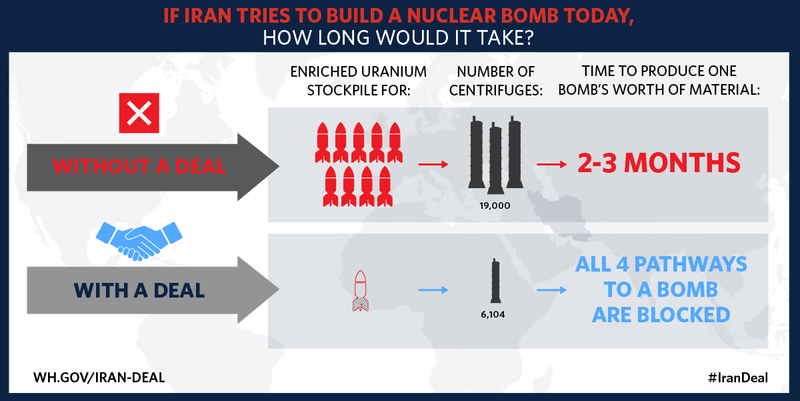 In totality, this agreement will push back the Iranian nuclear program by at least a decade and increase its breakout time (time it takes to make a nuke) from approximately 2.5 months to approximately a year. It will also result in a massive boon to the struggling Iranian economy and will do a great deal toward normalizing economic relations between Iran and the west. Experts have indicated that this deal is actually far more comprehensive and powerful than originally anticipated. 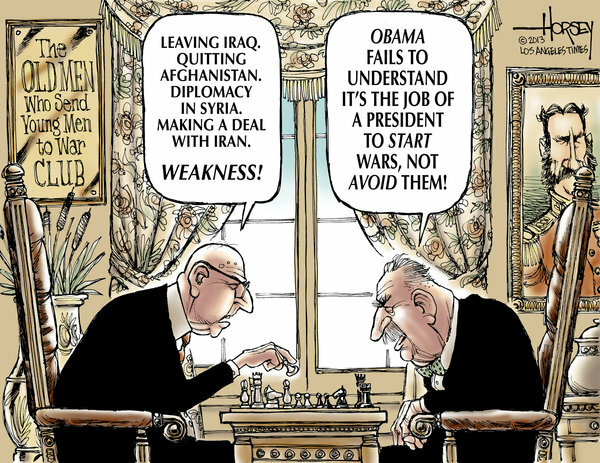 Many worried that Obama’s capitulatory style of “negotiation” in most domestic issues (ex. tax policy, the debt ceiling, the “Grand Bargain,” etc.) would translate to a very weak, if not toothless nuclear deal with Iran, but this is simply not the case. Iran has agreed to open its facilities—including military facilities—to inspection by the IAEA and will have to reconvene representatives from the P5+1 and give specific justifications if it wishes to deny inspectors access to a military site (delaying the inspection by up to a month). The Iranian nuclear stockpile will be reduced by 98% and Iran will dilute or sell all material enriched above 3.67%. Additionally, it will not enrich any material beyond this point for at least 15 years. Iran will decommission and store (in an IAEA monitored facility) 13,000 of its 16,000 centrifuges and will not build any more. The Arak and Fordow nuclear facilities will be repurposed to make it impossible for them to be used for weaponized research—the Arak heavy water reactor will be modified so that it cannot produce weapons-grade material while the Fordow facility will be opened as an international research facility. Any violation of the deal by Iran will result in a complete restoration of sanctions within 65 days. The UN Security Council’s economic sanctions will be lifted, allowing Iran to access its frozen funds and import certain goods that were restricted (ex. computers, processed graphite, etc.). Additionally, Iran will be allowed to export oil and other materials to Western nations, dramatically improving its economic prospects. These sanction reductions will be implemented as soon as Iran has verified that it is in compliance with the stockpile and centrifuge reductions specified in the deal. Five years after the implementation of the agreement, Iran will be allowed to buy/sell conventional weapons (ex. guns) on the international markets and, after eight years, it will be allowed to buy/sell ballistic missile technology. Iran will be allowed to engage in civilian nuclear research and will still sustain enrichment capacity for non-weaponized purposes. From a political perspective, both sides have in incentive to claim that they got the better side of this deal. For example, Iranian leaders focus on cheering sanctions relief and minimize the power of the IAEA inspections while US leaders focus on the downsizing of the Iranian nuclear program and minimize the future inclusion of Iran in the international arms market. This is just politics and the reality is that this is likely the best deal possible at this juncture—it achieves the Western goal of delaying the Iranian nuclear program and the Iranian goal of reducing the sanctions that have destroyed its economy. During the next 60 days, the Congress will have the power to either approve or reject the Iranian nuclear deal. Given the makeup of the current legislature, it is almost certain that the GOP will try to scuttle this deal and will send legislation blocking it to be vetoed by the president. Obama has already promised to veto any bill that would destroy this deal and, unless the GOP can manage to coalesce a 2/3 super-majority in the Senate (67 Senators), it is unlikely that the GOP will actually succeed in their efforts to disrupt negotiations. That said, they will likely attach provisions blocking the deal to every conceivable piece of legislation in hopes that they can force Obama to sign it by threatening his domestic agenda. In addition to facing repeated policy attacks from the right, the Iran deal will be a significant propaganda point for war hawks and conservatives during the next few years. Republicans have already begun to condemn the deal as a threat to world security and the worst piece of diplomacy since Neville Chamberlain’s days, and I see little chance of this hyperbole stopping any time soon. During the last year of the Obama Administration and 2016 election, the GOP will latch onto this deal as a talking point and scare-monger using images of mushroom clouds over American and Israeli cities. They will call Obama an appeaser and try to tie Hillary to his legacy in order to finally gain some traction against her on an issue of policy for the coming election.